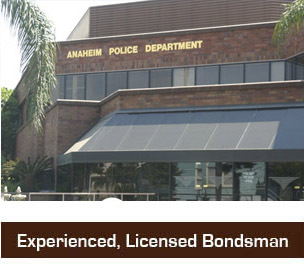 Anaheim Bail Bonds by Premiere - Call Our Professionals Now! When you need a bail bond in Anaheim let the experts do it for you. Sean Cook has built a successful practice based on providing excellent prompt service to all customers. We have been writing bail in Anaheim for over 21 years and continue to push ourselves to be the best at what we do. At Premiere Bail Bonds Anaheim we demand excellence and professionalism from our agents. All of our agents are trained in customer service, and have gone through professional business training courses. We are your Premiere Orange County Bail Bonds Company and are always here to assist you with all of your needs. If you need information regarding a person in custody at the Anaheim Police Dept. or help in Brea or Placentia or near by Santa Ana, call us 24 hours at 1-714.765.3600. 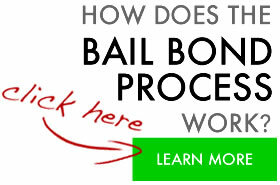 One of our professional bail agents will assist you immediately. We guarantee satisfaction, our bail bond service will be with you every step of the way through this difficult times. Much of our business is based on our relationships with our attorneys. These are the same attorneys we see in the news and in some high profile cases. Our attorneys refer bail bond clients to us because they trust us. They know what to expect and they expect the best when it comes to treatment of their clients. If we did not meet their standards they would not refer clients to us. Premiere Bail Bonds main office is located in Newport Beach, facing the Harbor Justice Center off Jamboree. We can post a bond any time a day 24/7/365 just call us at 800-662-0056. If you have a warrant for your arrest give us a call and we can help you get that recalled at your court hearing so you never actually spend to much time in jail or get transferred. Not sure if you have a warrant? Check out here and then give us a call - OC Warrant Search.